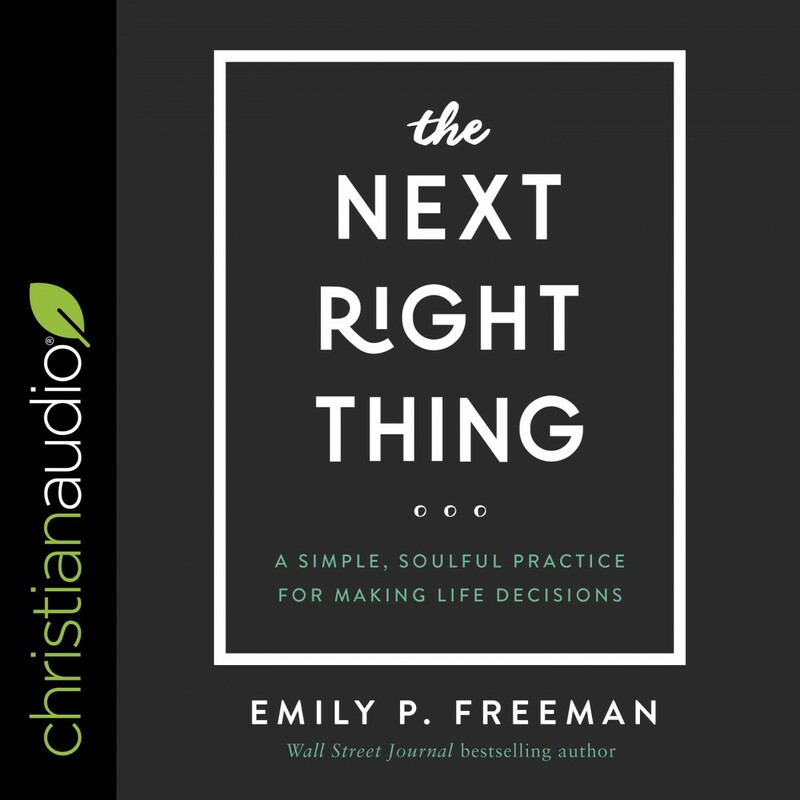 The Next Right Thing | Emily P. Freeman | Audiobook Download - Christian audiobooks. Try us free. "Nothing gets our attention like an unmade decision: Should I accept the new position? Which schooling choice is best for my kids? How can I support my aging parents? When we have a decision to make and the answer isn't clear, what we want more than anything is peace, clarity, and a nudge in the right direction. Whether you're in the midst of a major life transition or are weary of the low-grade anxiety that daily life can bring, Emily helps create space for your soul to breathe so you can live life with God at a gentle pace and discern your next right thing in love."